Sarasota Tree Care Services is the first choice for residential and commercial property owners in Sarasota Heights, FL looking for any type of tree service. We cover anything from the most basic tree trimming work to the most complex tree removal. Our goal is to ensure the complete satisfaction of every one of our customers, while also offering friendly, knowledgeable service at competitive rates. We have a team of dedicated technicians who love to work with trees. They bring this passion for trees on each job. When technicians arrive on a customer’s property, the first thing they do in conduct an inspection of the trees to see what condition they are in. A lot of times a trained eye will be able to spot fixes or problems that property owners are not aware of. Our technicians work with property owners to understand what issues their trees are giving them and then provide effective solutions. We are proud to offer high quality care at great value to all our customers, and will take on any job, large or small. We are here to help in an emergency or for routine tree maintenance. When customers call us our response often depends on whether it’s an emergency. A collapsed tree or property damage means we’ll deploy enough resources to manage a crisis and get you back on your feet as soon as possible. For maintenance calls we’ll send a specialist to you to discuss a tree care plan that works with your schedule and budget. A lot of property owners have specific plans in mind for their green spaces. Our experts can make that happen with modern tree care techniques that can influence their growth. The proper pruning strategy can improve natural light and air flow. 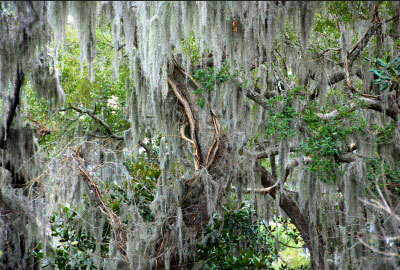 It can help fight off decay or overgrowth. A well-kept green space has many benefits. It creates a peaceful setting in residential neighborhoods that make them desirable. This helps property values rise over time. In commercial settings, the right tree design can make a space more inviting to attract the best customers and employees possible. Increased green space has been shown to improve mental health by helping people destress from life’s daily bustle. Our years in business have helped us develop a keen eye for what works when planning tree landscaping. We’re happy to work with customers on new construction or landscaping projects to help choose the best trees. 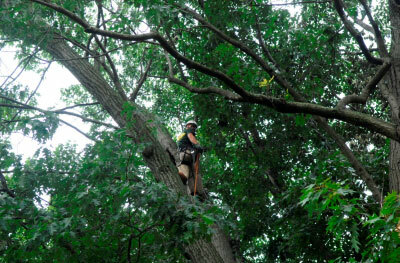 We offer a full suite of tree care that can cover any customer requirement. If you are concerned about the condition of your property’s trees, or want something more out of them, give Sarasota Tree Care Services a call. We’ve dedicated time and money to know how to provide the best care to trees and keep our communities beautiful. We pride ourselves on exceeding each customer’s expectations with our service and quality care. So, if you’re looking for a tree removal, trimming, pruning or other job, we can help. Call one of our staff members today to talk about how we can make your tree dreams a reality. We will do our best to get your trees looking the best they can.